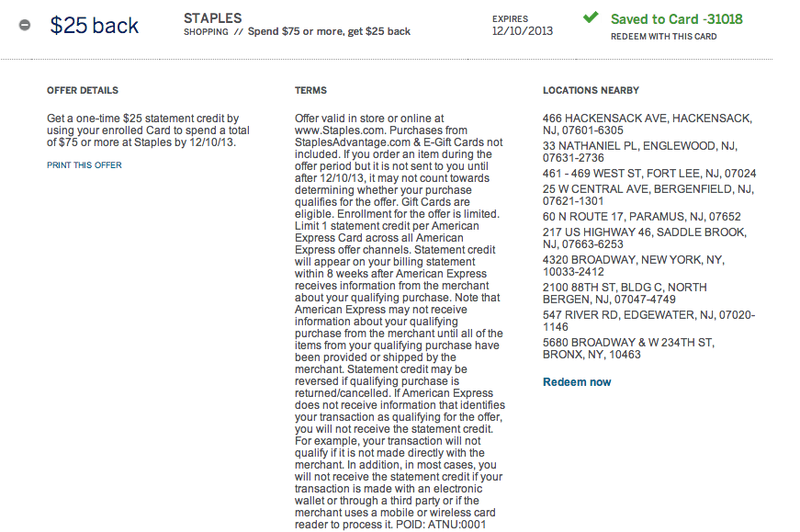 Oren's Money Saver: American Express and Staples - More Free Money! An offer of $25 off a $75 purchase from Staples will come up. 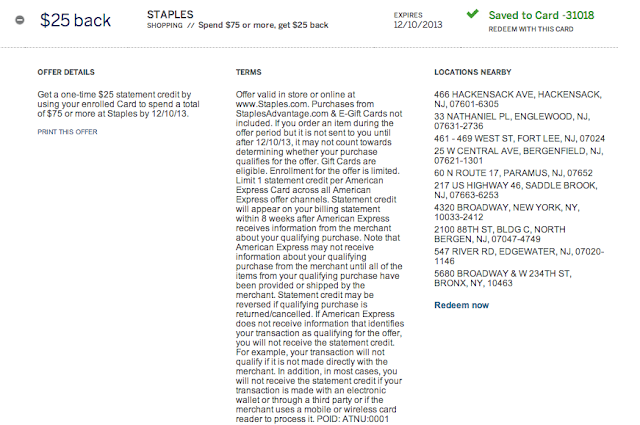 Once you click on the offer, it won't show up on your other American Express cards so you can only do it once. You can buy a $100 visa gift card for $106.95 and the final price will be $81.95 after the $25 savings or $18 free! You can then load this onto your Bluebird card at Walmart. I bought my Visa Gift Card and immediately got an email confirming that I will get the credit. Start your purchase from Top Cashback and get 3% cash back as well! Don't see it on my account - any thoughts? Unfortunately it's random. Some people get on only one card and some get it across all their cards and some don't get it.